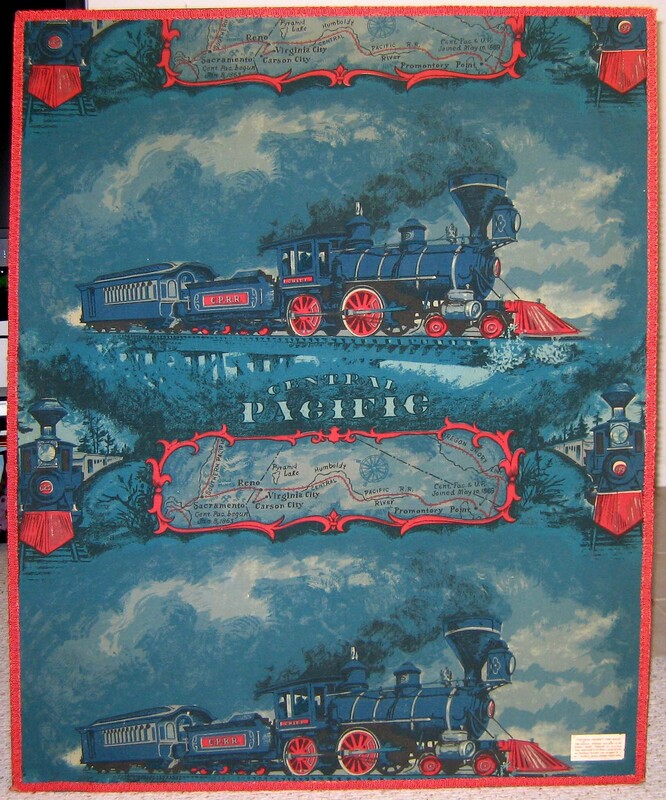 "Poster advertiaaing CEntral Pacific Railroad"
Hand panted on Cloth blue black grey inks. This poster appears to be original. Would your group be intreasted in this?